These practice questions are based on the AZ-900 course, entitled "AZ-900 Azure Exam Prep: Understanding Core Azure Services". This set of practice questions covers the "Understand Core Azure Services" learning objectives for the AZ-900 exam. If you can answer all of the following questions correctly, you are prepared for the AZ-900 "Understand Core Azure Services" learning objectives. A _________ is a set of datacenters deployed within a latency-defined perimeter and connected through a dedicated regional low-latency network. An Azure __________ is a defined area of the world that contains at least one Azure Region. __________ is a high-availability offering that protects your applications and data from datacenter failures. The answer is "Availability Zones"
A combination of a fault domain and an update domain is called ______________________. The answer is "an Availability Zone"
A ____________ is a container that holds related resources for an Azure solution. The answer is "Resource Group"
______________ allows you to work with the resources in your solution as a group. The answer is "Azure Resource Manager"
True or False. When naming a VM, the computer name and the virtual machine name can be different. An Azure VM is a _____________ resource. ______________ let you create and manage a group of identical, load balanced VMs. The answer is "VM scale sets"
____________ allows you to build and host web apps, mobile back ends, and RESTful APIs in the programming language of your choice without managing infrastructure. The answer is "Azure App Service"
____________ is a solution for easily running small pieces of code in the cloud. The answer is "Azure Functions"
A virtual network is scoped to a single region. ______________ connections are private. Traffic does not go over the internet. The answer is "Azure ExpressRoute"
Allows you to scale your applications and create high availability for your services. The answer is "Load Balancer"
Sends encrypted traffic between an Azure virtual network and an on-premises location over the public Internet. The answer is "VPN Gateway"
The max throughput for a VpnGw3 VPN gateway is _______________. A _________________ lets you create a secure connection to your virtual network from an individual client computer. The answer is "Point-to-Site VPN"
_____________ is a web traffic load balancer that enables you to manage traffic to your web applications. The answer is "Azure Application Gateway"
A ______________ is a distributed network of servers that can efficiently deliver web content to users. The answer is "Content Delivery Network"
_________________ is optimized for storing massive amounts of unstructured data. The answer is "Blob Storage"
_______________ provides a unique namespace in Azure for your data. The answer is "Storage Account"
_____________ are made up of blocks of data that can be managed individually. The answer is "Block Blobs"
All Azure virtual machines have at least ________ disk(s). Data on the temporary disk may be lost during a maintenance event or when you redeploy a VM. Managed disks have a maximum capacity of ______________. ___________ disks are the recommended deployment option for most workloads. The answer is "Standard SSD"
Microsoft recommends that you use ___________ disks for new VMs. Azure file shares cannot be mounted concurrently by cloud or on-premises deployments of Windows, Linux, and macOS. _____________ offers fully managed file shares in the cloud. The answer is "Azure Files"
While a blob is in Archive storage, it is offline and cannot be read, copied, overwritten, or modified. _____________ is Microsoft's globally distributed, multi-model database service. The answer is "Azure Cosmos DB"
Azure SQL Database can be deployed as a single database with its own set of resources managed via a logical server. _____________ is a cloud-based EDW that leverages Massively Parallel Processing (MPP) to quickly run complex queries across petabytes of data. The answer is "SQL Data Warehouse"
_________________ is a managed service, hosted in the cloud, that acts as a central message hub for bi-directional communication between your IoT application and the devices it manages. The answer is "IoT Hub"
IoT Hub supports communications both from the device to the cloud and from the cloud to the device. ______________ is a fully managed IoT Software-as-a-Service solution that makes it easy to create products that connect the physical and digital worlds. The answer is "Azure IoT Central"
____________ is a Hadoop service offering hosted in Azure that enables clusters of managed hadoop instances. The answer is "Azure HD Insight". The answer is "Azure Data Lake Analytics"
_____________________ is a cloud service that you use to train, deploy, automate, and manage machine learning models. The answer is "Azure Machine Learning Service"
Azure Machine Learning service does not support open-source technologies. _________________ is a cloud service that helps you automate and orchestrate tasks, business processes, and workflows. The answer is "Azure Logic Apps"
_____________________ is Microsoft's cross-platform command-line experience for managing Azure resources. The answer is "Azure CLI"
_______________________ provides a set of cmdlets that use the Azure Resource Manager model for managing your Azure resources. 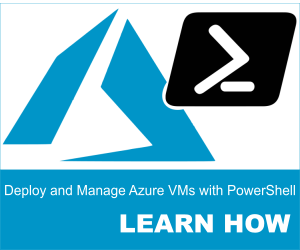 The answer is "Azure PowerShell"
__________________ analyzes your resource configuration and usage telemetry and then recommends solutions that can help you improve the cost effectiveness, performance, high availability, and security of your Azure resources. The answer is "Azure Advisor"
Click here to join the Understanding Azure Facebook group or here for the latest Azure practice questions, answers, explanations, and reference materials. Tom is a 20+ year veteran of the IT industry and carries numerous Microsoft certifications, including the MCSE: Cloud Platform and Infrastructure certification. A Subject Matter Expert in Active Directory and Microsoft Exchange, Tom also possesses expert-level knowledge in several other IT disciplines, including Azure, Storage, and O365/Exchange Online. You can find Tom at his website, on LinkedIn, or on Facebook. Need to reach him by phone? Call 484-334-2790. Copyright © 2019 Understanding Azure. All rights reserved. Are you finding this information useful? If so, please consider sharing it with your LinkedIn connections!